If you had to pick the single most annoying symptom of allergies or hayfever, what would it be? 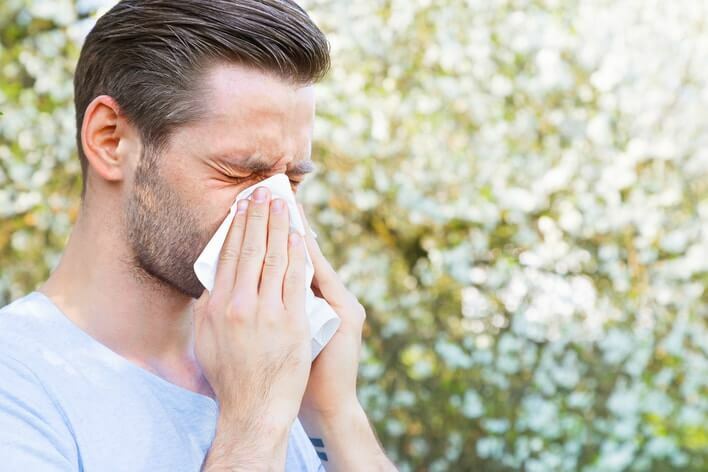 For many people, a runny nose tops the list. If you often suffer from the drip-drip-drip that won’t go away no matter how often you blow your nose (or snort and swallow! ), you have probably been wondering how to get rid of a runny nose. First of all, it’s helpful to understand what causes a runny nose. In the case of seasonal allergies—or, if you’re extra lucky, year-round allergies—your body’s immune system mistakes some harmless substance that you’ve inhaled, like pollen, for a threat1. Histamines are released, and your nose tries its best to expel the offending substance. Unfortunately for you, your runny nose doesn’t care if you are making a presentation at work, trying out for your school’s basketball team, riding on a crowded bus or going out to dinner with that special someone; it’s going to get messy. So, what can you do about your runny nose? Well, in a perfect world, you could stay far away from whatever is triggering your allergy symptoms. But, in the real world, it’s usually not that simple. If your allergy symptoms stem from grass or tree pollen, check the Australian Pollen Allergen Partnership webpage to view the day’s pollen forecast in your city and consider staying indoors when counts are high. To reduce indoor allergens, make sure you vacuum carpets and furniture regularly, wash bed linens weekly in hot water, clean areas that tend to collect moisture often, and install HEPA filters in your home (but be sure to clean or change them as directed)1,2. When prevention isn’t possible, fast runny nose treatments target the source of the problem: histamine. The problem with the antihistamine medications of the past is that even though they would stop your histamine production, you probably wouldn’t notice because you were sound asleep3. Some allergy products can take hours, or even days to start helping you feel better. Fortunately, not all allergy medications are created equal—at least, not any more. ZYRTEC® offers fast relief from your most severe allergy symptoms, like itchy / watery eyes, sneezing and yes, even your runniest of runny noses. And, Zyrtec tablets last all day, so you don’t have to worry about symptoms coming back at the worst possible time—like right in the middle of your dinner date.